Died: 19th September 1918; age 38; KiA at Salonika. Residence: 48, Levington Road, Ipswich. Served in part of the South African War. Frederick left the Service, rejoining at the beginning of the present war. He was not long in training before he was sent to France. Date of Entry Therein: 4th September 1915 – France. Rank: Sergeant; Service Number: 41906. Regiment: Royal Engineers, 99th Field Coy. Medals Awarded: Victory, British War & 1915 Star + Italian Bronze Medal + Military Medal – for gallantry and good conduct in the field. Gazetted – Military Medal – 31st August 1917. Italian Bronze Medal – Conferred by his Majesty The King of Italy 4th September 1917. Relatives Notified & Address: Son of Robert Downing & the late Caroline Downing. 1881 22, White Elm Street, Ipswich. Frederick was 11 months old and living with his parents & siblings. Robert Downing, 29, an Iron Moulder, born Ipswich. Caroline Downing, 30, born Ipswich. Edmund Charles Downing, 9, born Ipswich. Mahala Downing, 8, born Ipswich. Alice Beatrice Downing, 5, born Ipswich. Arthur Robert Downing, 4, born Ipswich. Rose Julia Downey, 2, born Ipswich. 1891 91, Alan Road, Ipswich. Robert, 39, an Iron Moulder. Edmund, 19, an Iron Moulder. Mahala, 18, a Stay Maker. Henry William Downing, 8, born Ipswich. Edith Maud Downing, 7, born Ipswich. Gertrude Kate Downing, 6, born Ipswich. Alma George Downing, 4, born Ipswich. Lily Ethel C. Downing, 1, born Ipswich. 1911 48, Levington Road, Ipswich. Frederick was 31 years old, a Moulder – Agricultural Engineers. He was living with his widowed father & siblings. Robert, 59, a Moulder – Agricultural Engineers. George, 25, Royal navy – H.M.S. Thunder. Albert Edward Downing, 19, born Ipswich. Note: Arthur Robert Downing was living at King’s Cross, London in 1918. After he married war widow Annie Button in 1924 they named their second son Frederick Ernest Downing in brother Fred’s honour. Frederick is also remembered on the Orwell Works Memorial Ransomes Sims & Jefferies Ipswich. Now sited at The Museum of East Anglian Life, Stowmarket, Suffolk. 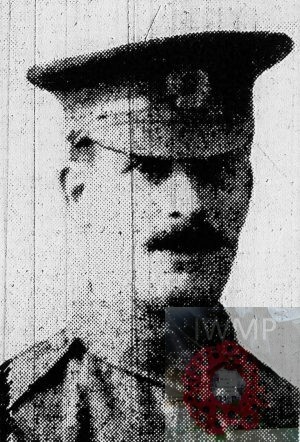 Fred’s brother Arthur Robert Downing was living at King’s Cross, London in 1918. After he married war widow Annie Button in 1924 they named their second son Frederick Ernest Downing in brother Fred’s honour.